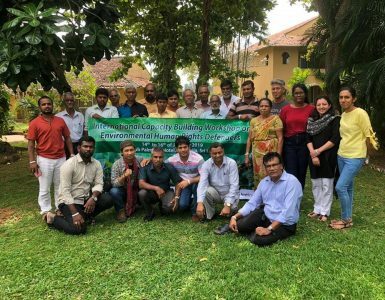 Centre for environmental justice has been continuously working on promoting and awareness raising on Environmental Impact Assessment Process in Sri Lanka. A three day training residential program was organized as another step of this program. 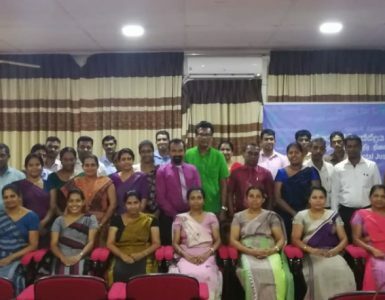 Training was held at Chinthana Training Center, Nainamadama 5 –7 th February 2019. Around 50 participants representing district secretary offices and other government offices in the country participated the training. 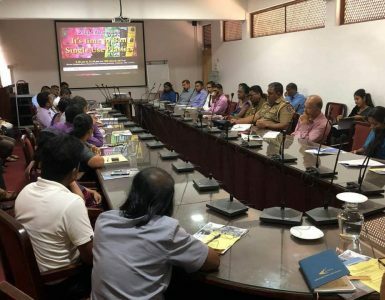 Participants were divisional secretaries, planning officers, land officers, environmental officers, forest officers, Irrigation officers, engineers etc. A reputed pool of lecturers who were among the best in each sector delivered lectures during the training. Mrs. Shirani Yasarathne / Former Deputy Director General CEA and Independent EIA Expert, Mrs Nilmini Attanayake, Director (EIA) of Central Environmental Authority, Prof. K. Tudor Silva, University of Peradeniya, Prof. Devaka Weerakoon, University of Colombo Dr. Premachandra Wattage, University of Portsmouth, UK and University of Moratuwa, Mrs. Ramani Ellepola, Former Director General of Central Environmental Authority Mr. W.A.D.D. Wijesooriya/ Former Director (EIA) Central Environmental Authority , Mr. Ajith Ethugala, Assistant Project Director (Envt. ), Strategic Cities Development Project delivered lectures. Finally, Mr. Ravindranath Dabare, (Attorney at Law) Chairman, Centre for Environmental Justice discussed on EIA related legal cases. Inputs from Mr. Hemantha Withanage/ Executive Director, Centre for Environmental Justice during the training were very much valued.